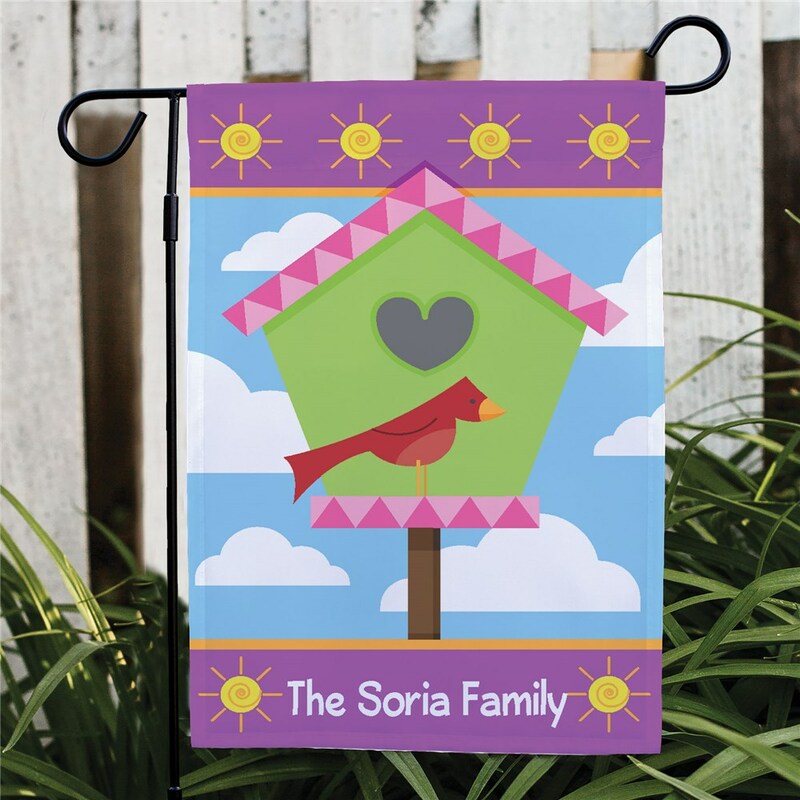 Add a wonderful look to your home or garden by displaying this colorful Personalized Birdhouse Garden Flag. 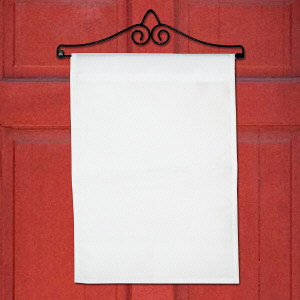 Our Personalized Garden Flag gives everyone who visits the warmest welcome that they deserve. This birdhouse design may be printed on our one sided or double sided, durable, all-weather 100% poly garden flag that measures 12 1/2"w x 18"h. You may wish to display this flag on our optional garden flag pole, door hanger or window hanger, sold separately. It also makes for a fun personalized Spring gift. Free personalization of any one line custom message is included. Love having both sides of flags! Ordered this for my daughter to use outside her mobile classroom. She was thrilled with the bright colors and cute graphic. 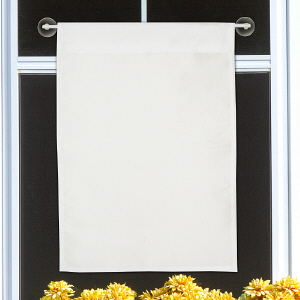 Personalized Spring Garden Flags make colorful additions to your garden, porch or deck. 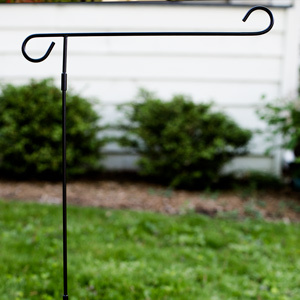 Our large selection of Personalized Garden Flags provides a variety of choices that make an attractive outdoor statement. Add more color to your home with our matching Personalized Birdhouse Welcome Doormat as well.